LADY IN THE LAKE is just too gimmicky for me. As a child I REALLY enjoyed the CHOOSE YOUR OWN ADVENTURE series, but in film form the premise just don't work. I remember thinking that Lady in the Lake was a little corny, but I'm going to give it another go. I think Dark Passage utilized the first person perspective a little better. A "Choose Your Own Adventure" movie would be awesome. It'd be kind of like an RPG video game. During the movie, a list of options would pop up occasionally and then the movie would continue based on the options selected. It would certainly be better than the short-lived "InterFilm" theater gimmick, where audiences watched a choose-your-own-adventure movie on projected laserdisc, and had to vote on choices with their seat buttons. Unfortunately, as Roger Ebert pointed out, it never felt like you were choosing your own adventure, and most of the gimmicks involved just choosing which character to follow with choose-your-own-edit sequences. And, of course, starting with Bob Gale's "Mister Payback" didn't help its future either. Took me a couple of viewings to appreciate Lady of the Lake, but now I enjoy it. I think it is one of Totter's best roles as she really stands out in it. Of course she would have to paired with Robert Montgomery. It is in with our "Christmas Movies," although it is not really a Christmas movie. The camera viewpoint is not disturbing once you get used to it. Finally, I also recorded The Madwoman of Chaillot because it sounded interesting. I'm sorry to inform you that The Madwoman of Chaillot is terrible. It's so bad I gave up on it halfway through. I'll have to see. There may be a reason that I've never heard of it. 11 p.m. 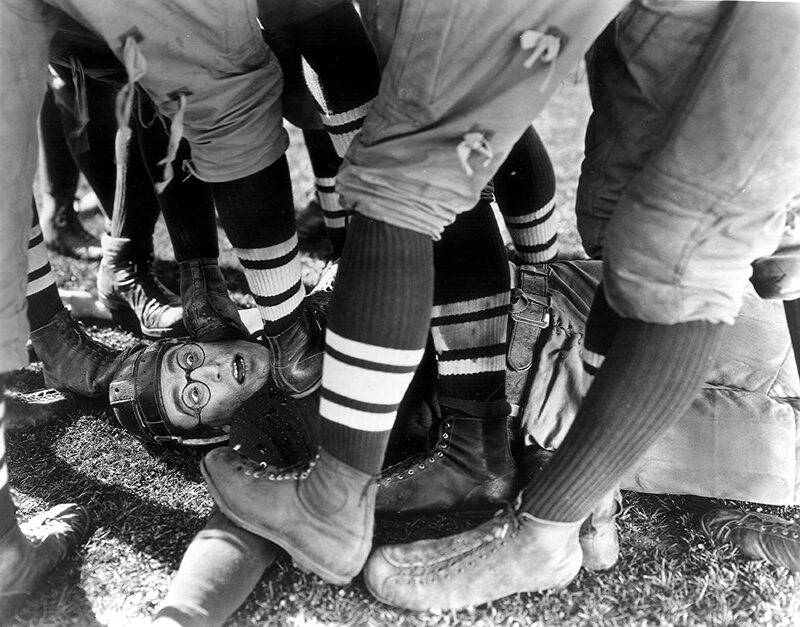 The Freshman (1925). Harold goes to college. Regarded as one of his best. Did she never see SHANGHAI EXPRESS?! YEP! LOL According to the Marlene docu. Woman was her favorite and she thought Sternbergs best film w/her. NO ARGUMENT! I hit the damn auxiliary button by mistake while watching it (behind real time) and missed the ending. (maybe SOMEDAY I'll be able to watch it in its entirety) I've seen it before, so know how it ends, but it P-ssed Me Off!!!!! Audrey Totter's day looks fantastic. I think I'm recording almost all of the noir films: Man in the Dark, The Sell-Out, The Set-Up, Tension, and High Wall. I'm also recording Lady in the Lake even though I've seen it 2-3 times already. With Dark Passage so fresh in my mind, I want to re-explore Lady in the Lake and the film's use of first person perspective. Sadly, I have to agree. Even Kate couldn't save it. I remember seeing a stripped-down high-school play of it, so I knew the story and the general allegory--But the play I remembered was missing most of the second act, where they put on the trial scene, and Danny Kaye gets his big serious-dramatic moment. Basically, either you go in knowing it's supposed to be 60's-counterculture-era fantasy from a French playwright, or...you don't. Look what happens when you don't. I have next to no familiarity with THE MADWOMAN OF CHAILLOT, but there is no denying THAT IS A GREAT EFFIN' LINE! the renovation continues and i missed all of AUDREY TOTTER day except for a brief moment in the morning where she played a Hispanic comic-relief, borderline Lupe Velez-type in some something with ROBERT WALKER and JUNE ALLYSON and- you know what? SHE MADE IT WORK. 2:30 a.m. New Moon (1940). 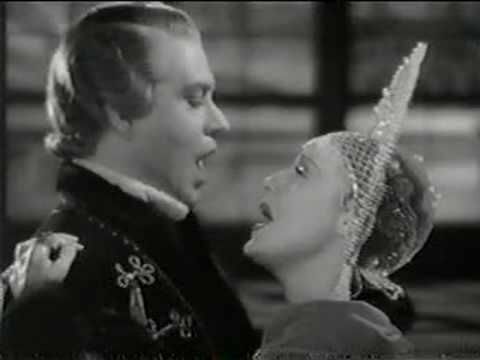 Nelson Eddy’s ‘Stout-Hearted Men’ is quite gay. She was SO nasty in Tension last night! Couldnt believe how obvious she was about her adultery. Was happy to see her get her just desserts at the end! I wonder why her career didnt pan out?? She was on a roll in the late 40s. MGM letting its contractees go? I'd forgotten most of the plot, so it was almost like seeing a new movie.....I'd even forgot Cyd Charisse was in it. Totter averaged around 3 movies a year from 1946 - 1958. She turned 40 in 1957 which often causes an actress to get way less roles. In her 40s and early 50s she was feature fairly often in T.V. shows. So to me her career panned out about the same as other actress at her 'level'. ..I'd even forgot Cyd Charisse was in it. I know that TCM has limited selection of movies, but it seemed many of the Totter ones were where she actually had a very small role. Yeah, they do that a lot for SUTS.